Much of the hype surrounding this year’s Indianapolis 500 is thanks to Stefan Wilson. Wilson gave up his seat in order for two-time Formula One champion Fernando Alonso to have a go in the car he was originally going to run. So, why wasn’t Wilson first on the list to fill in for injured racer Sébastien Bourdais? Bourdais was injured Saturday in a massive qualifying crash, fracturing his hip and pelvis. Dale Coyne Racing announced that Australian racer James Davison is set to drive Bourdais’ No. 18 Honda in this year’s Indianapolis 500, reports Racer. 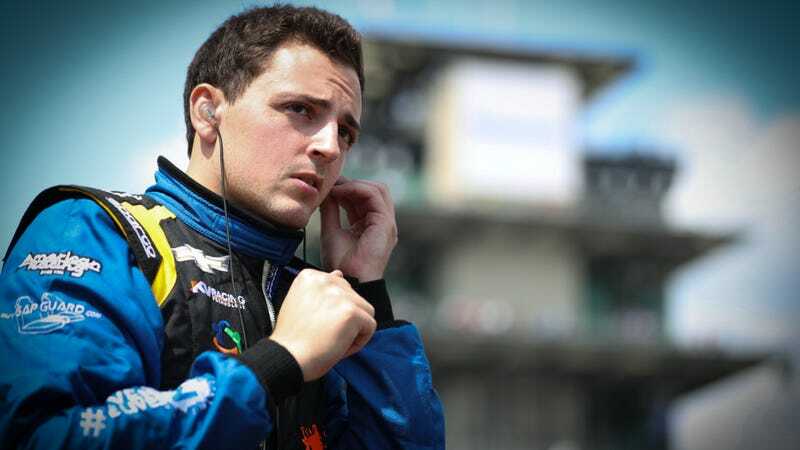 Given that Stefan Wilson, brother of late IndyCar racer Justin Wilson, gave up his seat so that IndyCar could attract major international attention by letting one of Formula One’s biggest stars come race, you’d think the series would owe him the first available ride that opens up. That’s not what happened. While Wilson’s initial ride for this year was with Andretti Autosport instead, it’s clear that the series as a whole is enjoying the extra attention brought by their most famous rookie driver in recent history. I don’t think it’d be out of bounds at all for Honda to say “we owe Wilson this one” when the Dale Coyne seat opened up. The additional attention that the Wilson-Alonso seat swap has brought to the Indianapolis 500 feels unreal. There’s hardly any talk about Monaco in comparison to the Indianapolis 500 this year, even though they’re both prestigious, highly-regarded legs of the Triple Crown of Motorsport. This isn’t to speak ill of Davison, who has two Indianapolis 500 starts with Dale Coyne Racing and is no doubt a known quantity to the team. If you’re offered an Indy 500 ride, of course you take it. You’d be crazy not to. But Wilson has also driven for Dale Coyne Racing before, albeit in a regular-season race. With Wilson’s quiet, humble demeanor, I doubt he burnt too many bridges there. Franchitti’s tweet said what fans who’ve been following this year’s race have all been thinking, getting an outpouring of support-tweets from fans and even a retweet from Wilson himself. The phrase “no good deed goes unpunished” comes to mind here. Giving up a seat in America’s lone leg of the Triple Crown of Motorsport is one of the ultimate sacrifices a racer can make. Unless the Dale Coyne Racing team had lined up another legend to fill in for Bourdais who’d bring a ton of attention to the series in their own right, it doesn’t make sense that Wilson didn’t get a second chance at a 2017 Indianapolis 500 ride. Bourdais’ continues to recover from his surgery Saturday night, and has vowed to get back in the car as soon as he’s ready, per Racer. However, it could be months before he’s able to do so.